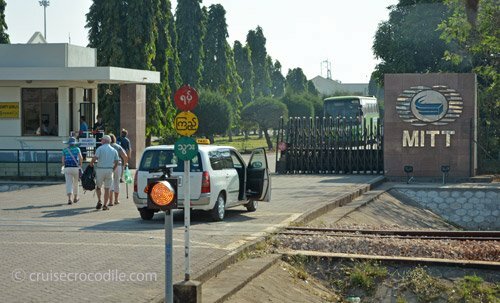 Welcome to the Rangoon cruise port guide. Yangon is the official name of the city although often Rangoon is still used. It is the former capital of Myanmar, while it is still the largest city with a population of over 5 million. Yangon is an intense city with a fascinating street culture that is always entertaining. Walking around in a city like this you never know what to expect around the corner. Vendors, meetings, haircuts blend in in between the countless tea shops on the side walks. Burma is a country that has captured our imaginations for years. What in the 19th century was a prosperous and mighty country would become one of the poorest countries in the world. The regime is especially a touchy subject when talking about this country. Myanmar would write history in the 20th century. It is a country that has been isolated from the rest of the world for decennias. Now a new age has come and it now has the opportunity to prove they are on the road to greater democracy. Just recently Myanmar has opened itself up again and slowly on even the cruise ships are coming back. For the reason it has been closed for so long it is still a raw and unspoiled experience. People on the street are happy to see the tourists and yet they are not quit sure what to do with them. If Myanmar is on your list, go fast, because thing are about to change. This is the exit of the port of MITT where the cruise ship dock. If you take the port shuttle they often drop you off at the exit of the port where you will find taxis. At the exit of the port you won’t find anything of interest. There are just some local restaurants and taxis. In the port of Thilawa you see hundreds of parked cars. These are imported cars most often from Japan. You will see that also these cars have the wheel on the wrong side of the car. Most cruise ships will dock at the port of Thilawa which is also known as MITT: Myanmar International Terminal Thilawa. Your ship will have to sail up the river for about 3 hours before it reaches the dock in Thilawa. It is a busy port, especially petrol industry and imported cars from Japan seem to be the business around here. For this reason there is no walking allowed in the port area. Most ships will only run a shuttle bus service to the exit of the port. This is where you are able to find 1 small street with some basic, local restaurants and taxis. The port of Thilawa is located around 30 km south of Rangoon. You will need transportation to visit the city and keep in mind it takes at least 1 hour to get from Thilawa cruise dock to Thilawa. If you are not booked on a shore excursions your options are a bit limited. From the exit of the port the local train and bus are not withing walking distance and therefore you will need to take a taxi to get anywhere. The taxis in Yangon are often white and they always have a taxi sign on top. The taxis do not have a meter and therefore you will need to negotiate with them. The price for a taxi into town ranged between 20 – 50 USD depending on the supply and demand of the taxis. Usual price is 40 USD one way and 80 USD for return. Although if you are the best of bargainers it should be 20 USD one way. This is about the best information we can give you. A day trip to Bago will probably get you up to 120 USD for the day. Most taxis only fit 4 people in it. Truth it, it all depends on the moment, situation and on you. Use this information as a basic and be open minded. To go to the city centre of Yangon ask for the Sule Pagoda. This is a central spot to be dropped off. -Respect the culture. -Smile back if someone gives you a smile. -Tilt your head a little hwen greeting elders. -Use right hand and touch your elbow with you left hand to pass articles and demonstrate politeness. -Keep your legs down while sitting, especially if you are sitting with older people. -Though Myanmar people are friendly, they are still largely conservative. So don’t show physical affection such as kissing and hugging when in public -Remove footwhear when in a religious place. -Wear modest clothing that covers knees, elbows, shoulders and chests. -Don’t offer to shake hands with monks, women should not touch monks altogheter. -Be discrete: limit photography -Never use your legs in pointing of showing Buddha statue and shrine. -Street-side foods with small stalls are mostly unhealthy, we recommend not to eat here. -Change your money in town. -US dollars officially need to be clean and crisp. Check your bills to see if there are no rips of stains on them. – How far is the city centre? 30 km to the north or 60 to 90 minute drive. – Can I pay with US dollars? Most things you can pay for with US dollars. – Where can I find wi-fi? Not anywhere around the port. You will need to go into town. – What do the people have on their faces? Some people in Myanmar have a lotion they put on their faces for cosmetic reasons, but also to protect their skin from the sun and give it its vitamins. – Is it safe to eat in Myanmar? Yes, it is, but use your common sense. Typically the saller street vendors are not suitable to eat at. – Can I wear socks in the Pagoda? No, you cannot. In the city of Rangoon you will find all kinds of colonial buidlings. 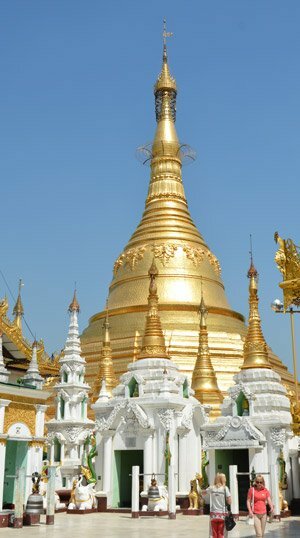 They are reminders that Burma used to be the richest country in Asia and as Rangoon in its glory days as a modern city. Nowadays they are just reminders of time gone by. The result is a beautiful city centre with the largest collection of colonial architecture anywhere in Southeast Asia. The plan is the upgrade all of them and return them into the state that reminds us of their former glory. Yangon is known as a city of gardens. Kandawgyi is without doubt the most impressive one in the city. In this park you will find a couple of km’s of walkways over the water. They create leisurely walks through the park where you cross all kinds of things including the gold structure you see here. This is the Karaweik hall or palace. It is a bird-shaped floating restaurant on the eastern side of the lake. This is a MUST in Rangoon. It is one of the most impressive religious sights in the world! On top of the Singuttara hill we find this gigantic pagoda that is visible from all over town. It is a 90 meter high golden stupa, topped with 6500 diamonds, rubies and other precious stones. As a visitor you are allowed inside and as soon as everybody has taken off their shoes and are inside you can feel everybody is the same in there. Many people come to witness this religious site, but the mayority of people come from all over the country to perform their religious buddhist rituals. A hotel in the Kandawgyi Park that is owned by the richest man of Myanmar sets a new standards for luxury. Go for something off the beaten track and book yourself here for a lunch or spa. On 26th street you will find a local fresh market. They virtually sell anything here. From fruit and vegetables to fish and chicken. The entire street become one market stall, but imagine that its still a public road, so whenever a car needs to pass it will just need to driver over the products. When cruise ships have Rangoon on their destination list they dock at Thilawa. The port is also known as MITT which is short for Myanmar International Terminal Thilawa. This cruise dock is located about 30 km south of Rangoon. The drive takes about an hour or more. You will find MITT is a large industrial port mainly used for the petrol industry and cars import. There is no walking inside the port. 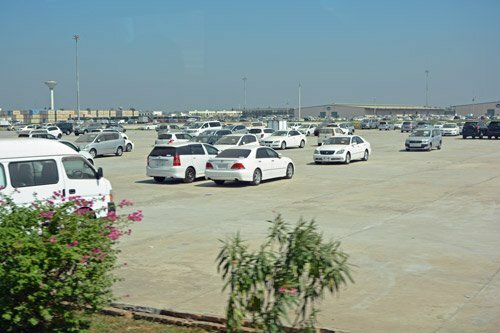 The port offers a free shuttle service to the exit of the port. This is where you will find a limited amount of taxis and a the public street with some restaurants on it. Need more information about the Thilawa port, transportation options and what to see and do? Visit the Thilawa cruise port guide. This is a city landmark for Yangon and it marks the city centre. What the Arc de Triumph is for Paris is what the Sule Pagoda is for Yangon. The pagoda is a 42 meter high golden stupa that is said to be over 2000 years old and house the hair of a Buddha. When the Brittish started to rebuild the city in the 1880’s they implemented a grid pattern in the city all around this pagoda. That is why this pagoda truly marks the city centre and it is a great starting location for any visit to the city. 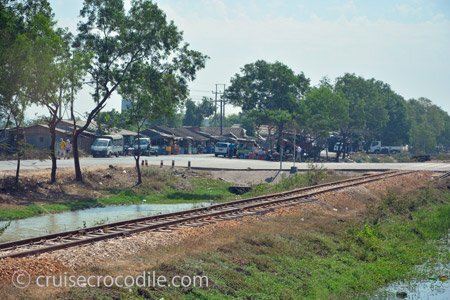 Also known as Bogyoke Aung San Market lies in the heart of Rangoon. It is the most popular market among the tourist. Find any kind of art, jewelry or fabric here. Yangon’s City Hall This is the city hall of Rangoon that you’ll find next to the Sule Pagoda and Mahabandoola Gardens. Mahabadur garden In the middle of the city we find the Mahabadur garden. It is a very popular city park that is known for being a good hang out place, but also because of its eye catcher in the middle. This long obelisk is the Independence monument. It commemorates the independence of Burma from Britain in 1948. Do you have a special shop, museum, attraction or tour you would like to share? Add it! The information provided by this website is subject to change and therefore information can be inaccurate. Any content or photos on this website are copyright protected and cannot be used for commercial purposes. © 2019 Copyright by Cruise Crocodile. All rights reserved.